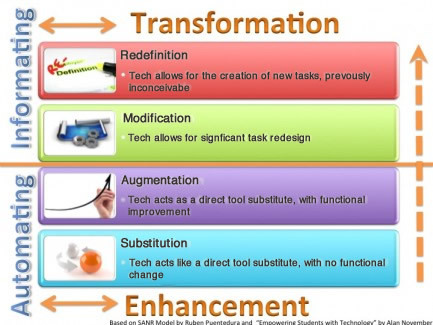 While this document deals with the tools and apps a senior high school student may use as substitutive to traditional tasks it is intended to be a primer for teachers to allow them to accept this technology into the traditional classroom of the senior student heading toward their leavers exams. While the students may be digital natives their education has not been digital immersed. it is hoped that this kind of approach ill see the student taking the lead with the device and getting wider, richer sources of knowledge and learning experiences, for those that continue at this stage of their education to continue in a traditional manner this program will no disrupt their learning. It is important that reform continues into the earlier years so that this type of portible device and the access to recourses it enables can truly be tapped. 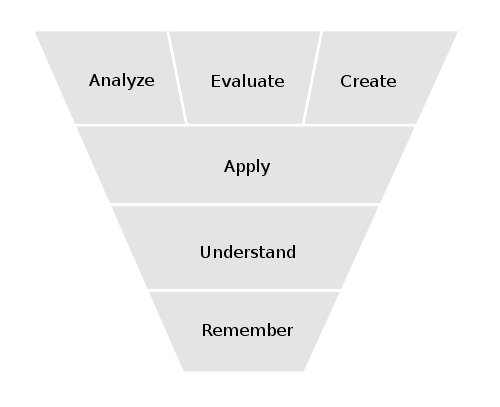 Understand we need to move beyond the substitution phase and take some time to read, Silvia Tolisano’s writing on Tool Set – Set – Mind Skill Set. As this is where we need to be moving. The iPad has only one button on it, this is called the home button any time i refer to the button it is this I am speaking about. Wakes the iPad up when it’s asleep. Takes you to the home screen from any other screen. Takes you to the search screen if you are at the home screen. Closes the App you using. Brings up the fast switching menu, to swap between recently used Apps. This App is in the Dock, it’s the web browser for the iPad. If you want to access the internet this is the default app. Browsing with your finger is easy swipe up and down to scroll the page. Tap and hold a hyperlink to open in a new page, this way you can return to your original page any time. Access the multiple pages using the icon on the toolbar. There are other browsers available some have other features Atomic and iCab both allow multiple tabs. iBooks is the default reader for books on the iPad it is not the only one but is is a good one not only can you read the books you can add notes and highlighting to books. With a true ebook the font size and style can be changed. PDF’s can be read in iBooks but they don’t have the same features. 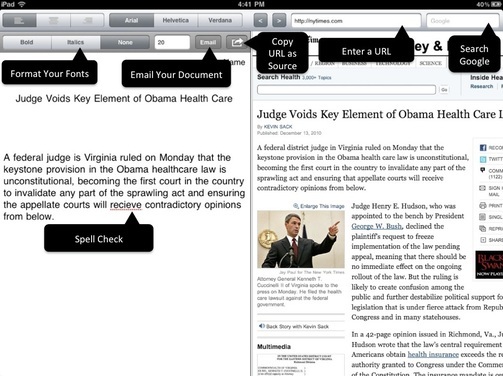 The cleanest and most focused note taking and writing App on the ipad. Recommended by Stephen Fry No less. If you want to do more on the iPad there is a variety of more expansive apps that let you create richer content as you could on the MacBook. These apps are Pages(word-processing), Numbers(spreadsheet), Keynote(presentations), iMovie (video editing) and Garageband(music creation). These are all paid Apps and most users would not need to use these, they are included here to show the level of creation possible on the iPad. Other Apps for Students to use. Fantastic App allows you to read a website while making notes on it and linking you references are automatically inserted at the click of a button. While we have had a look at text books as PDF’s and Books on the iPad it is worth looking at the new developments in text Books. Textbooks redesigned for the new Technology, linked images and video as well as notes and sharing. There is also ways of collecting our information that is easy and with the device you are able to take it with you on the go. Choose your content and it is fetcher for you, refine your type and places by the information you read. Good app for when you just want to jot down some notes. The app has multiple notebooks you can create and it allows you to have multiple pages in each. It has hand recognition so when you rest your palm on it while writting it does not think you are trying to write there. This entry was posted on May 9, 2011 at 2:12 am and is filed under Information. You can follow any responses to this entry through the RSS 2.0 feed. You can leave a response, or trackback from your own site. The last video is confirmation that men never grow up, ever, nor do they ever refrain from opportunities to show off. Nevertheless, excellent skills Mr Maitland. Oh, and the rest of the information on this blog… a great read. Informative and useful. Thank you. Awesome to see neu.Annotate here! The paid version, neu.Annotate+ just got a big update today and is on sale for 99 cents right now. Totally worth the upgrade.